In Wednesday’s State of the Union, President Trump was selling ‘America First’ to a home crowd. But when Trump addressed leaders from some of the world’s other leading economies at last week’s Davos conference, did he silence some of his more challenging critics? “It ain’t over until the fat lady sings”, goes the colloquialism, now almost a cliché. The American president may, as certified by his doctor, be slightly obese but he is no lady, and last week’s annual meeting of the World Economic Forum in Davos was no opera, though definitely a show of sorts. 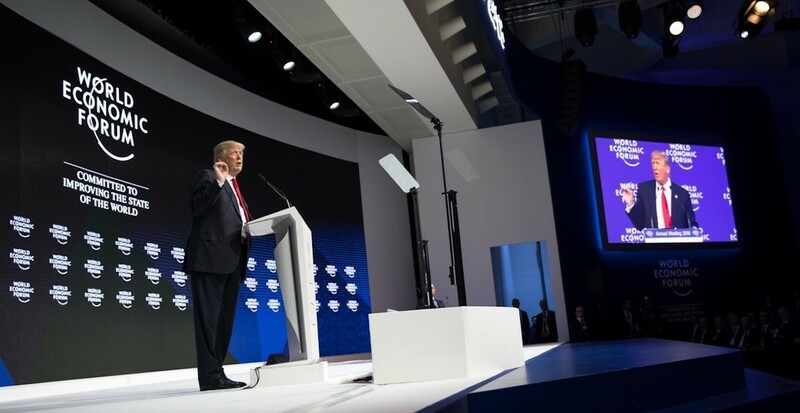 Yet there is no doubt that this year’s 3000-strong week of networking and talk in the Alpine ski resort was dominated more by the prospect of Donald Trump appearing than any of the hundreds of agenda items. When the moment came, in the final 30 minutes of the final day, it failed to live up to expectations of a discordant set of sound bites. The address was brief, coherent and to the point. Trump’s “America first, but not America alone” message may not have set the world alight, but it was a far cry from what had been anticipated. 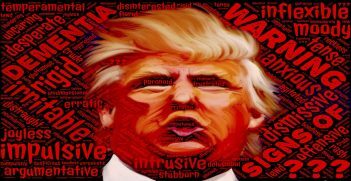 Trump stuck to his script, which meant there was none of the fumbling, bumbling and gratuitous insults portrayed by Michael Wolff in his controversial book Fire and Fury. Trump was helped by an obsequious introduction by Klaus Schwab, the Geneva University economics professor who set up Davos in 1971 and now presides over a not-for-profit foundation with an annual turnover of AUD$368 million. The genial globetrotting Professor Schwab strongly believes business, academia, governments and their agencies, scientists, technologists, clinicians and journalists should work together for a better world. He has never been afraid to bring to Davos the kind of people rarely encountered in what Australians like to call the ‘big end of town’. Much is made of the tens of thousands of dollars that the World Economic Forum (WEF) charges its members to come to Davos, without a thought for the cost of inviting hundreds of guests who, air fares excepted, have all expenses paid. There was some hissing when Schwab said the US president had been the “subject of some misconceptions and misinterpretation”, and the WEF founder made no mention of the fact that just a few days earlier he had delivered a strong warning about how Trump was hampering the global fight against climate change. It was issue that had near universal support among the Davos crowd, who had given Al Gore a rapturous welcome earlier in the week. Trump ignored the subject, concentrating on his achievements in his first year in office. However, one of his claims could correctly be termed ‘fake news’; he talked of an expanding US economy whereas figures published shortly after he had departed Davos showed the American economy had slowed in the past 12 months. However, there is no disputing his claim of a big fall in unemployment, especially among African-Americans and Hispanics. Whereas France’s President Emmanuel Macron had snared 100 of the world’s most significant business leaders for a half-day pre-Davos meeting, followed by a glittering dinner at the Palace of Versailles (on condition each leader brought a plan to invest billions of euros in France), the US president urged business leaders to put their money into America and reap the immediate tax benefits. Macron, it should be said, upped the stakes on climate change by announcing that France will not only make up the funding lost by the US withdrawal from the Paris Accord, but also shut down all coal-fired power stations by 2021. Trump did not take the bait, steering clear of any mention of climate change. He stuck to his success stories, proudly citing the example of Apple’s commitment to invest USD$350 billion (AUD$430 billion) over the next five years to build a new campus, factories, develop apps and create tens of thousands of jobs for Americans. “When I heard this from Tim Cook I thought they were talking about USD$350 million, not USD$350 billion!” Trump said. “This is fantastic. You can be part of this too if you act now”. The US president defied expectations that he was going to be harsh on trade, though surprised his audience by saying he might change his mind about withdrawing from Trans-Pacific Partnership (TPP). Eleven countries, including Australia and Canada, have earmarked the second week in March as the date they will sign up to the TPP’s successor, the Comprehensive and Progressive Trans-Pacific Partnership. Trump devoted little time to war and peace, but repeated his refrain that allies in NATO must contribute their fair share towards defence, and asked for support for his campaign to strengthen the anti-nuclear deal with Iran. To that end, leading European nations have agreed to join the US-led working party to examine ways the agreement may be improved. Contrary to many Australian media reports and as The Guardian suggested, Davos is not a meeting of billionaires and oligarchs. I counted less than five oligarchs in this year’s list of 3000, and although there were quite a few billionaires, like Bill and Melinda Gates, China’s Jack Ma and many other business titans. There were many more political leaders, particularly from Africa and Asia, along with globally-recognised academics, scientists, technologists, writers, artists and many others. There were more women at the 2018 WEF than on any previous occasion. All six co-chairs were high-ranking women, an innovation this year by Professor Schwab whose specialty is inviting people with totally contrasting political views to put their theories to the test in informal sessions with doubters. This year, Britain’s shadow chancellor, the hard-left John O’Donnell, was welcomed to Davos. He was not without friends; among them the celebrated Nobel prizewinner, Jo Stiglitz, professor of economics at New York’s Columbia University and formerly chief economist of the World Bank. Stiglitz, of course, remains a thorn in the side of the dozens of bank chiefs who attended Davos. Schwab’s prize presenter last year was China’s President Xi Jinping, who went down well with the Davos crowd, although his actions in the South and East China seas since has lost him some of that. This year, Trump may have fared less well, but his entourage of senior ministers provided for a lot of country-to-country dialogue. Other senior leaders attending included Germany’s Chancellor Angela Merkel, President Emmanuel Macron of France, Prime Minister Theresa May from Britain, Prime Minister Modi of India and the prime ministers of Italy, the Netherlands, Canada, and a host of other countries. Alas, there is not the space to report and discuss the packed agenda here. However, the WEF makes most of them freely available on line at weforum.org, and Bloomberg Television also provided at least three hours of interviews each day which can be found freely available. Unfortunately, the Australian media provided very poor coverage of this important annual event, perhaps because so few Australians were there. I spotted Cate Blanchett and Senator Matthias Cormann, and a couple of Australians working for US banks. Colin Chapman is a writer, broadcaster and public speaker who specialises in geopolitics, international economics and global media issues. He is a past president of AIIA NSW and was appointed a fellow of the Institute in 2017. 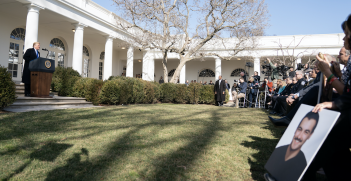 President Trump’s national emergency declaration will have little impact on what happens on the US-Mexico border. Trump’s decision this week to withdraw from the Iran nuclear deal is a global tragedy likely to unsettle an already volatile Middle East and a world in some disarray. 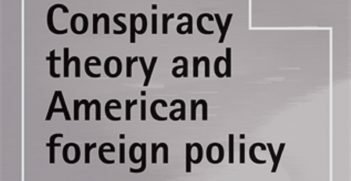 Labelling particular ideas as conspiracy theories delegitimises the real complaints of many in the Muslim world about US foreign policy and makes it impossible to address them, writes Tim Aistrope in an important analysis.